Alos Apartments Paseo de Gracia-Diagonal is located in Barcelona’s Gràcia district, just 350 metres from Diagonal Avenue. 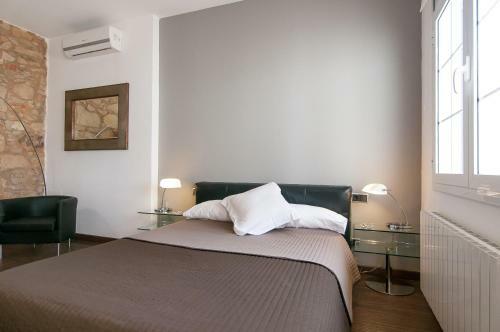 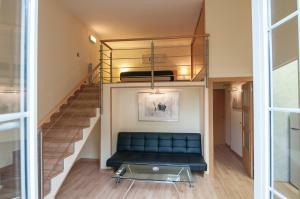 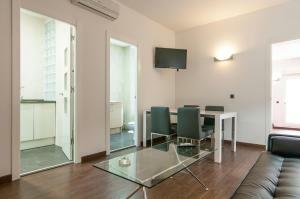 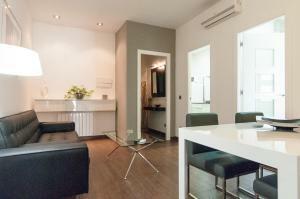 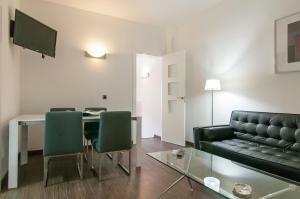 It offers modern, air-conditioned studios and apartments with a flat-screen TV and free Wi-Fi. 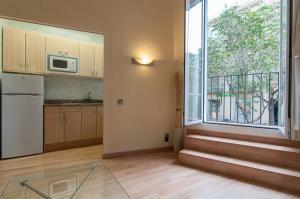 All guests are given a bottle of Cava as a welcome gift. 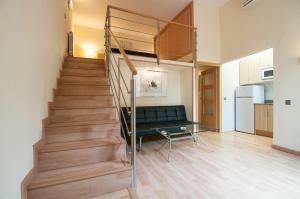 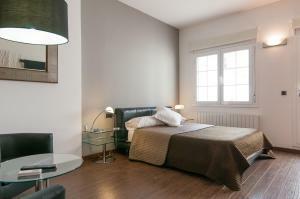 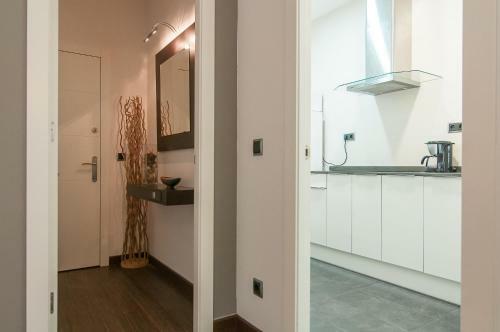 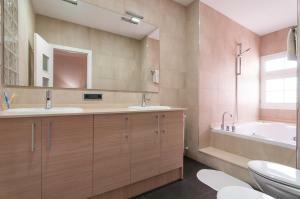 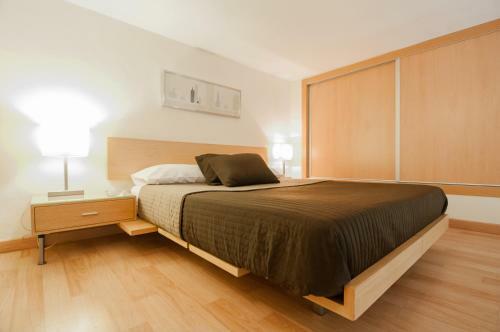 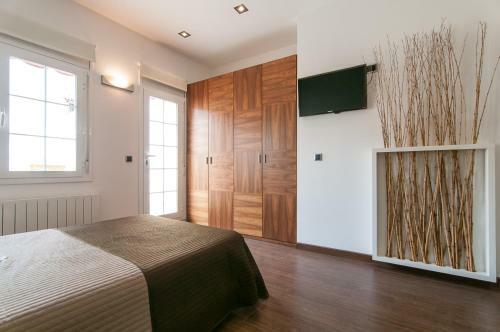 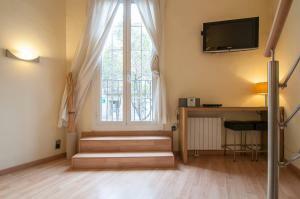 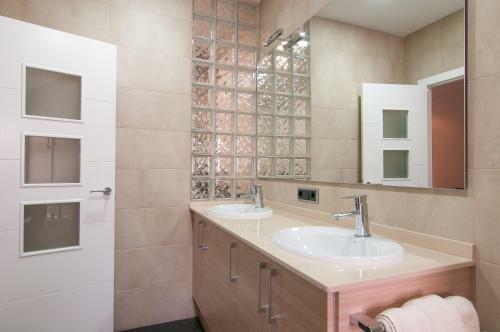 The accommodation at Alos Apartments Paseo de gracia-Diagonal features parquet floors and light wood décor. 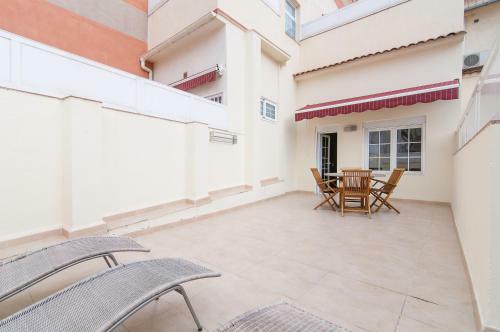 Each one has a kitchen or kitchenette with a microwave and toaster, and many apartments have a balcony, terrace or spa bath. 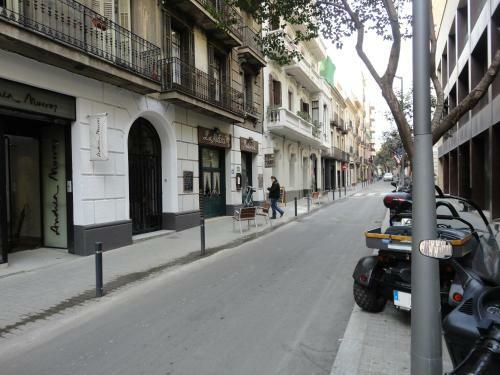 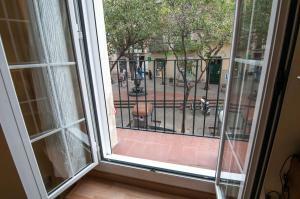 There are many bars, restaurants and charming cafes in the Bohemian Gràcia district. 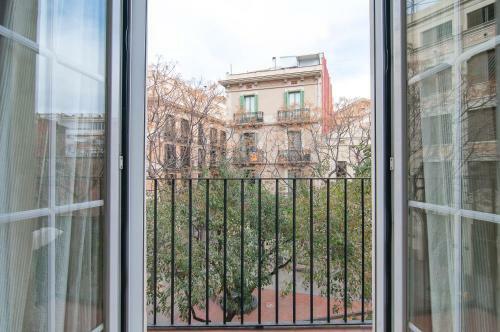 Gaudí’s La Pedrera is a 10-minute walk away, and you can walk to Casa Batlló in 15 minutes. 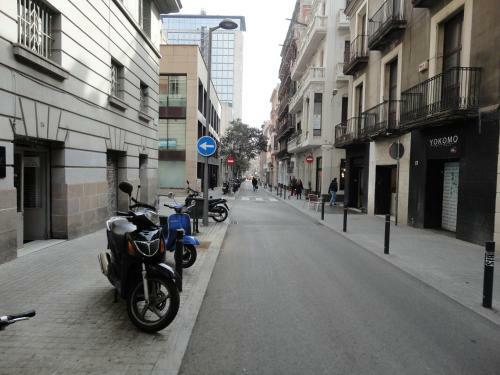 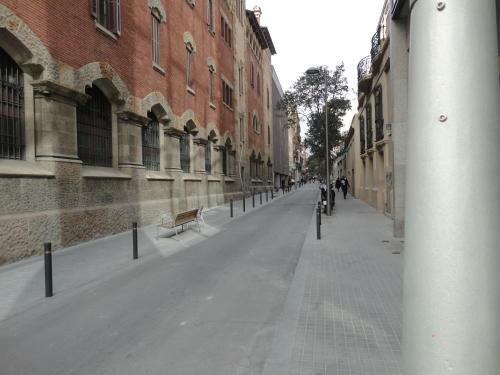 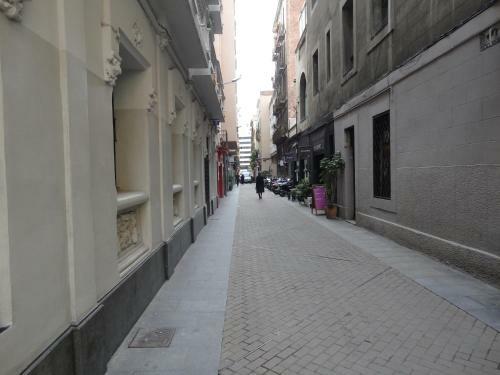 The apartments are just 5 minutes’ walk from Diagonal Metro Station, and FCG Gràcia Train Station is also 5 minutes away. 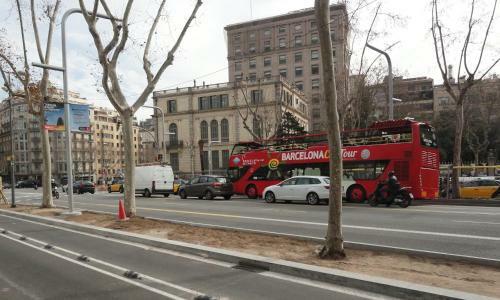 Airport buses leave from Plaza Catalunya, located just 2 stops from Diagonal. 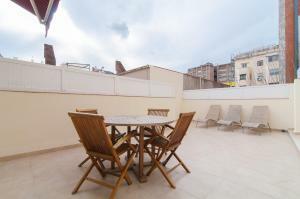 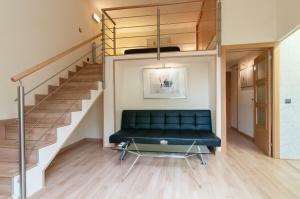 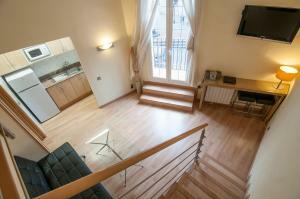 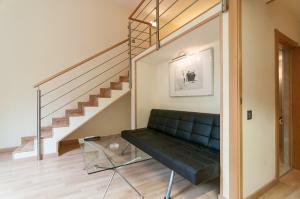 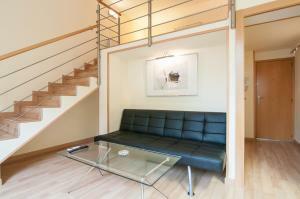 This modern, air-conditioned apartment is located on the first floor and has a private terrace with a table and chairs. 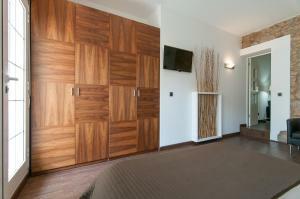 It features a double bedroom and a lounge-diner with a sofa, free Wi-Fi, and flat-screen TV. 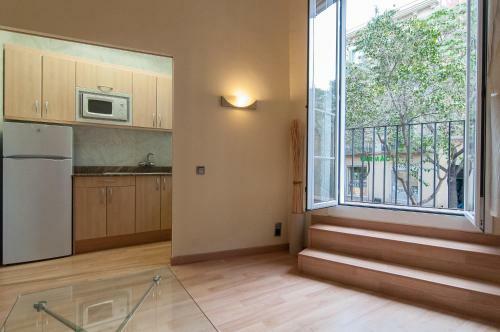 The kitchen includes a microwave and toaster. 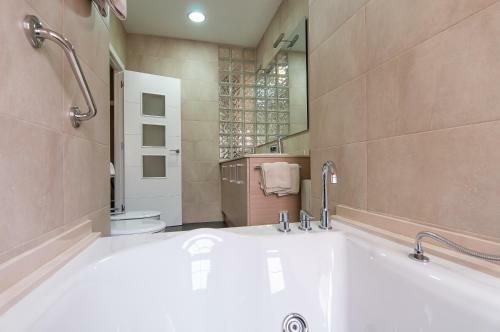 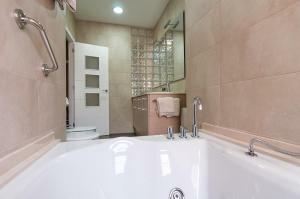 The bathroom comes with a spa bath. Rate: € 105.00 ... € 135.00; select dates below to get current rates. This modern, air-conditioned studio features a double bed and a sofa. 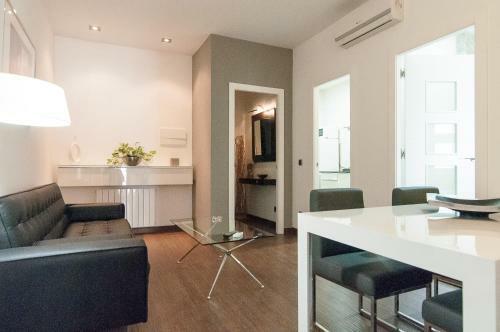 It comes with free Wi-Fi, a flat-screen TV and DVD player. 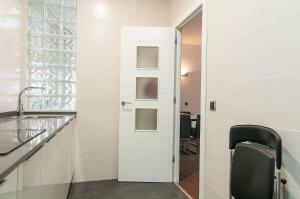 The kitchenette includes a microwave and toaster. 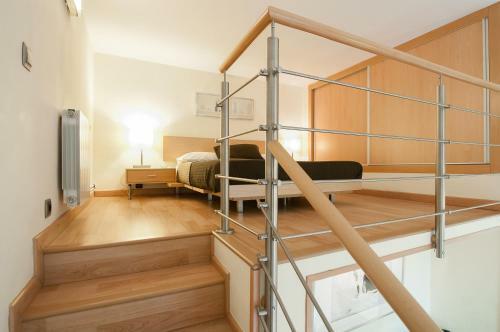 It also has a private balcony. Rate: € 78.00; select dates below to get current rates. This larger, air-conditioned studio features a double bed and a sofa. It comes with free Wi-Fi, a flat-screen TV and DVD player. The kitchenette includes a microwave and toaster. 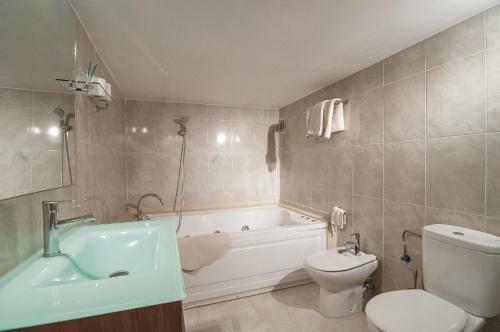 It also has a private balcony. 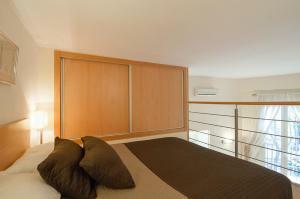 This modern, air-conditioned studio features a double bed and a sofa. 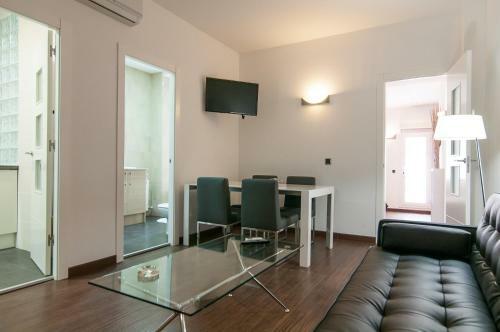 It comes with free Wi-Fi, a flat-screen TV and DVD player. 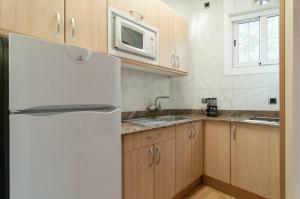 The kitchenette includes a microwave and toaster. 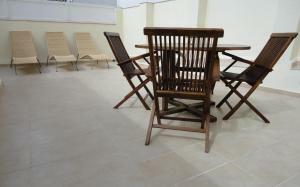 It also has a private terrace with a table and chairs. This modern, air-conditioned apartment is located on the second floor and has a private terrace with a table and chairs. It features a double bedroom and a lounge-diner with a sofa, free Wi-Fi, and flat-screen TV. The kitchen includes a microwave and toaster. This modern, air-conditioned apartment features a double bedroom and a lounge-diner with a sofa, free Wi-Fi, and flat-screen TV. 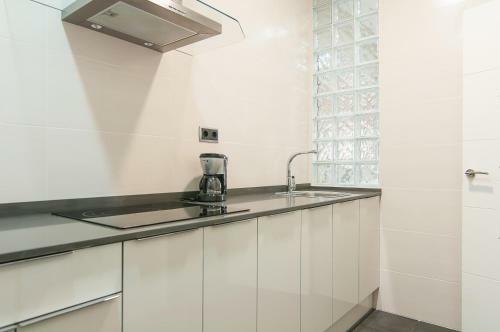 The kitchen includes a microwave and toaster. 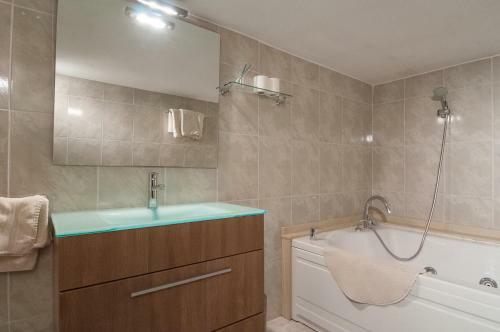 The bathroom comes with a spa bath. 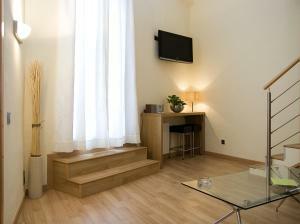 Rate: € 125.00 ... € 155.00; select dates below to get current rates. 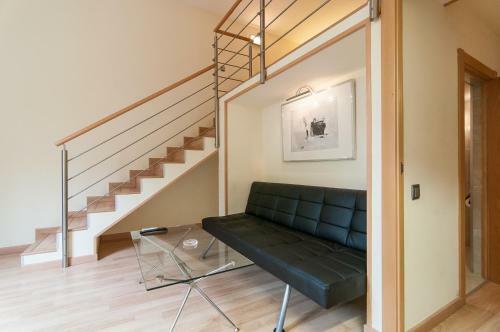 Split over 2 floors, this modern, air-conditioned apartment has a double bedroom on the mezzanine level. 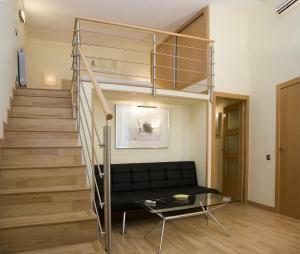 It features a private balcony and an open-plan lounge-diner with a sofa, free Wi-Fi, and flat-screen TV. 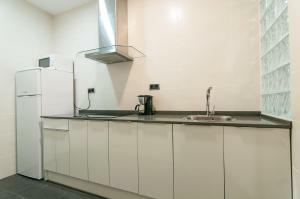 The kitchen includes a microwave and toaster. 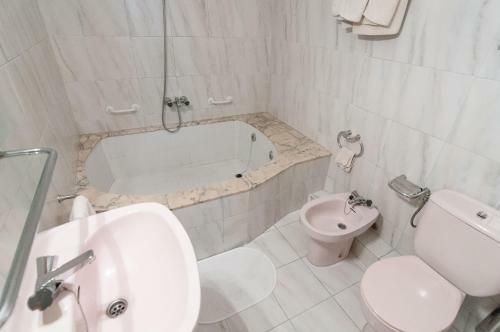 The bathroom comes with a spa bath. 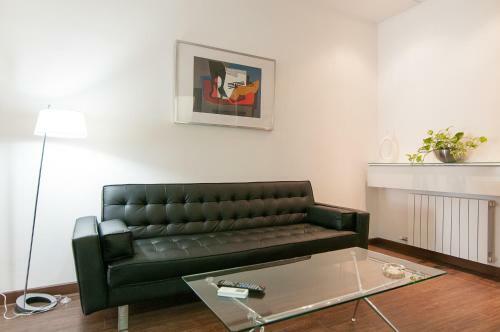 This modern, air-conditioned studio features a double bed and a sofa. It comes with free Wi-Fi, a flat-screen TV and DVD player. The kitchenette includes a microwave and toaster. 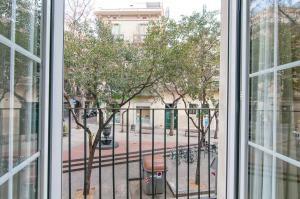 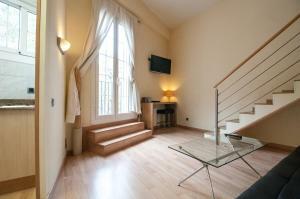 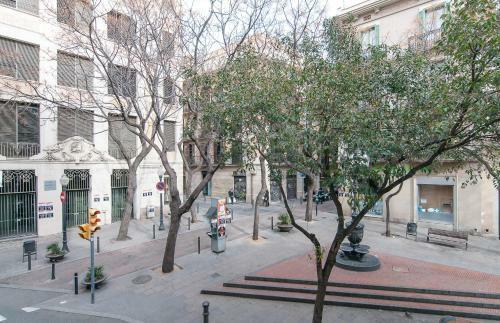 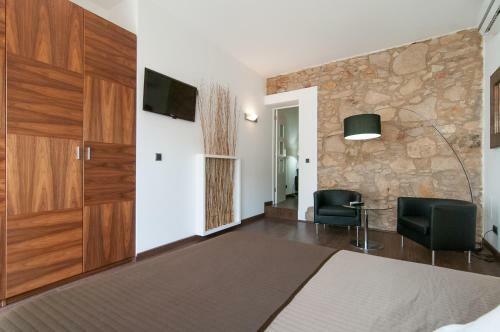 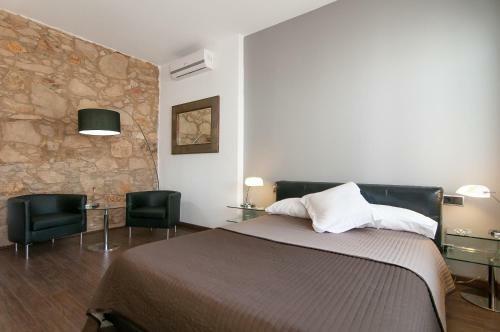 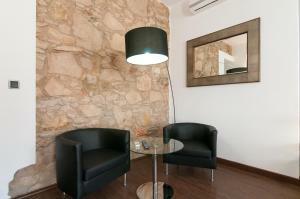 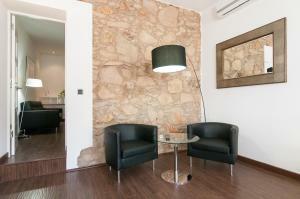 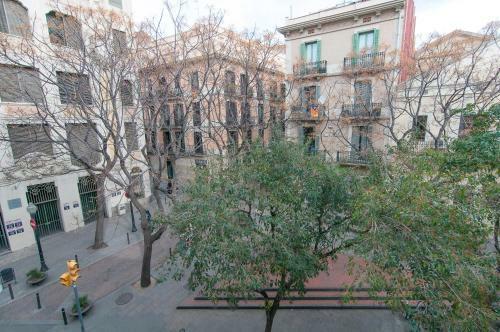 This apartment overlooks Placeta de Sant Miquel Square.